Don’t you get excited when spring season occurs because it means there are more vegetables to harvest and buy in your favorite local markets? Well, I do, and one thing that really makes me feel thrilled is the fact that I can cook and eat some of my favorite vegetables including asparagus. I cook more asparagus dishes during spring as this is the only time wherein I really get enough of it. It is not only because asparagus is delicious and used in many types of meals, but because of its health benefits. This short-stalked veggie is known for its ability to fight diseases and aging. There are more to those that you can benefit from eating asparagus. Before I give you some healthy recipes of asparagus, let’s first learn some specific benefits. Learning them can give you more encouragement to prepare and eat foods with asparagus. 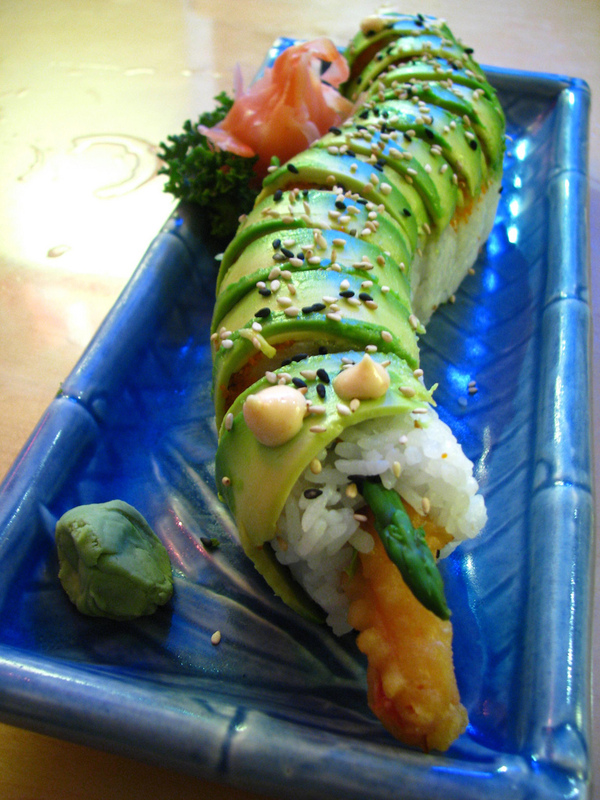 Asparagus is one of the many green vegetables that are packed with plenty of nutrients. It is an excellent source of vitamin A, vitamin C, vitamin E, and vitamin K. It is also a producer of fiber and folic acid of folate. There is also a mineral called chromium that improves the function of insulin in the body. This enables the insulin to transport glucose from the bloodstream into body’s cells. The main reason why asparagus is able to prevent early aging is because of the presence of antioxidants. One of them is a detoxifying compound called glutathione. This substance breaks down carcinogens in the body that help avoid having cancer types, including breast cancer, bone cancer, colon cancer, and lung cancer. It also helps fight other toxic and harmful compounds. Because it slows down the process of aging, it provides you a younger-looking, smoother and healthier skin. One last health benefit of asparagus is the amino acid asparagines. This acts as a natural diuretic, which is very beneficial for individuals who are suffering from edema, high blood pressure and other cardiovascular or heart related diseases. It helps release fluid as well as excess salts in the body. These are benefits of asparagus that you must know. They help us in a variety of ways in terms of preventing aging and fighting diseases. Now, let me share to you a few recipes that you can make with this vegetable. 2. Remove the woody parts of each asparagus. Rinse asparagus and peel garlic. 3. 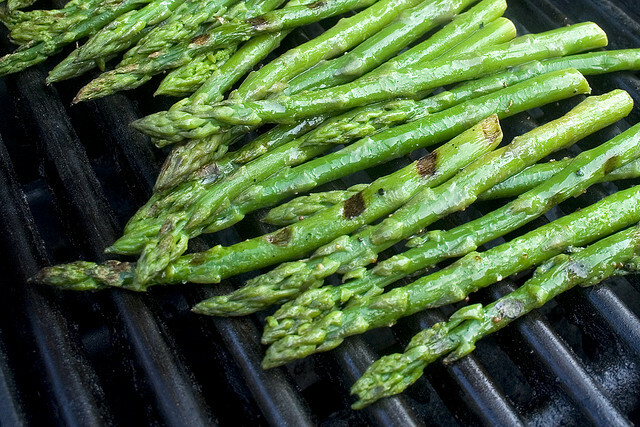 Place asparagus in a baking pan. Sprinkle with garlic. Pour oil all over and season with salt and pepper. 4. Mix or toss to coat. 5. Roast for 10 minutes or until the asparagus spears are crispy and tender. 1. Put a steamer basket in a skillet. Add water that reaches the bottom of the basket, and bring to boiling. 2. Place asparagus spears in the basket. In medium to low heat and covered, steam for 3 to 4 minutes. 3. Remove the asparagus from the basket. Set aside or immerse in ice water for quick cooling. 4. Drain and pat dry if necessary. 5. Wrap each asparagus spear with a slice of cheese and prosciutto. 6. Sprinkle with cracked pepper, olive oil, and balsamic vinegar. 1. Heat a grill to medium. 2. Remove wood bases of asparagus. 3. Place asparagus and broccolini on baking pans. 4. Sprinkle with oil, salt and pepper. Toss to coat. 5. Grill the vegetables for 5 minutes every turn or until they are cooked. 1. Pour water in a saucepan and bring to a boil. Place asparagus for a minute or two. 2. Transfer the asparagus into a bowl with ice water for 2 minutes. Drain afterwards. 3. In a resealable plastic bag or Zip lock bag, put all the asparagus spears. 4. In a separate bowl, mix the soy sauce and sesame oil. 5. Pour the sauce over the asparagus in the bag. Seal and chill for 1 hour or up to 4 hours. 5. Drain asparagus before sprinkling with sesame seeds, and then serve. 1. Grease a baking or casserole dish with oil. Heat saucepan over medium setting. 2. Toss shallots in the saucepan for 5 minutes. 3. Add faro, chicken stock or broth, salt and pepper. Stir to coat and bring to a boil. Reduce the heat and let it simmer without any cover for 25 minutes. 4. Remove faro and set aside. 5. In the same saucepan, mix tomatoes, carrots and 1/3 cup basil. Cook for 5 minutes while covered. 6. Preheat the oven to 400 degrees Fahrenheit. 7. Scrape the cooked farro and other ingredients with it into the casserole dish. Spread into a thin layer. 8. Mix eggs, cream and cheese in a separate bowl. Pour the mixture over the farro. Stir to coat and combine. 9. In another bowl, mix bread crumbs and parsley together. Sprinkle them over egg and farro mixture. 10. Place the asparagus spears over the top of the baking dish. Coat with crumb, egg and farro mixture. Add olive oil cooking spray. 11. Bake for 20 to 25 minutes. 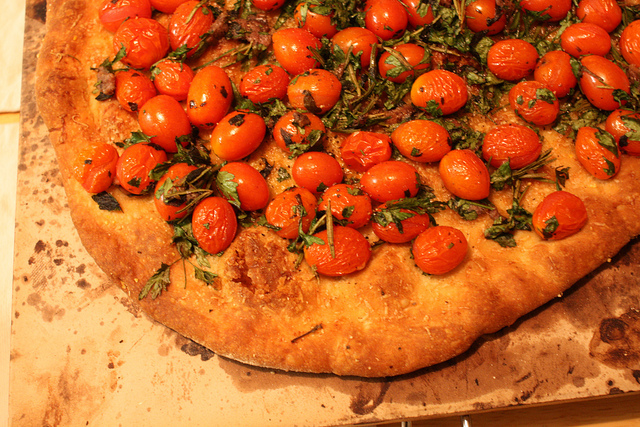 Serve with sprinkled fresh basil. So, now, start cooking with asparagus with these new recipes!